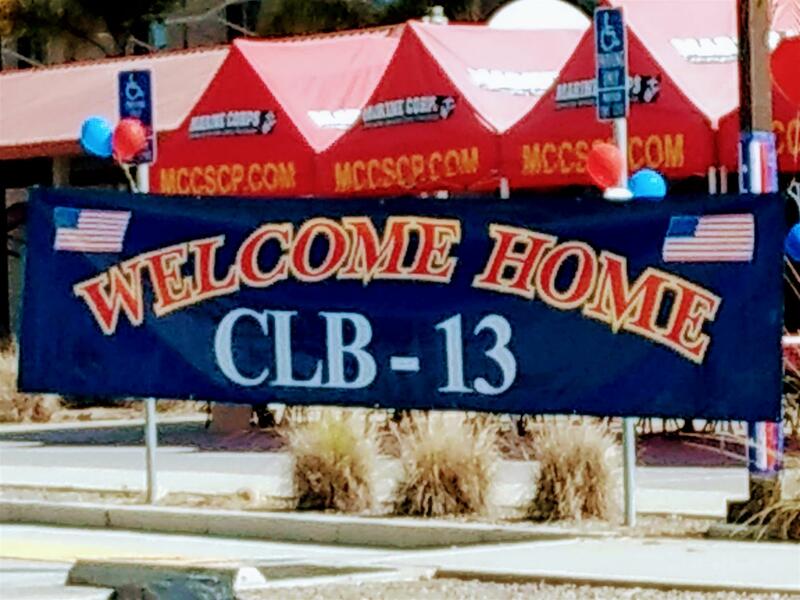 Left to Right: Deployment Readiness Coordinator Toni Ramirez, CLB-13 Lt. 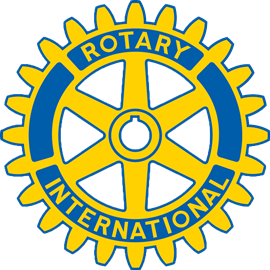 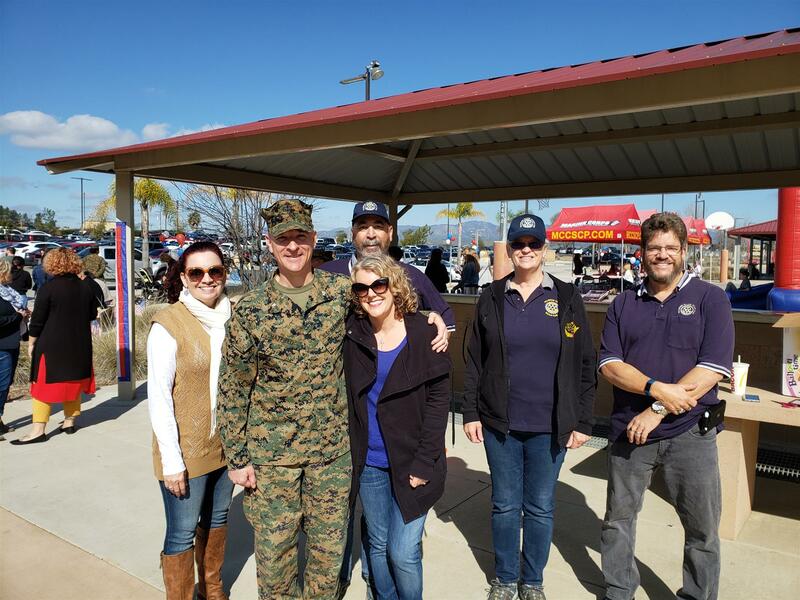 Colonel Brian Hatfield and his wife Robin Hatfield, Rotarian Chuck Ibold, Rotary President Karen Utley and Rotarian Don Weeks. 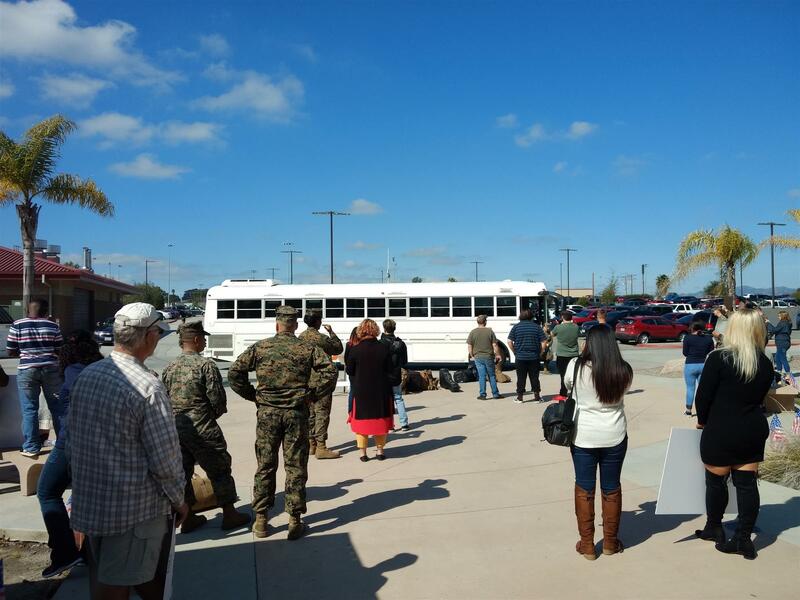 The Fallbrook Village Rotary helped at Camp Pendleton with the Marine Corps Battalion CLB-13 homecoming. 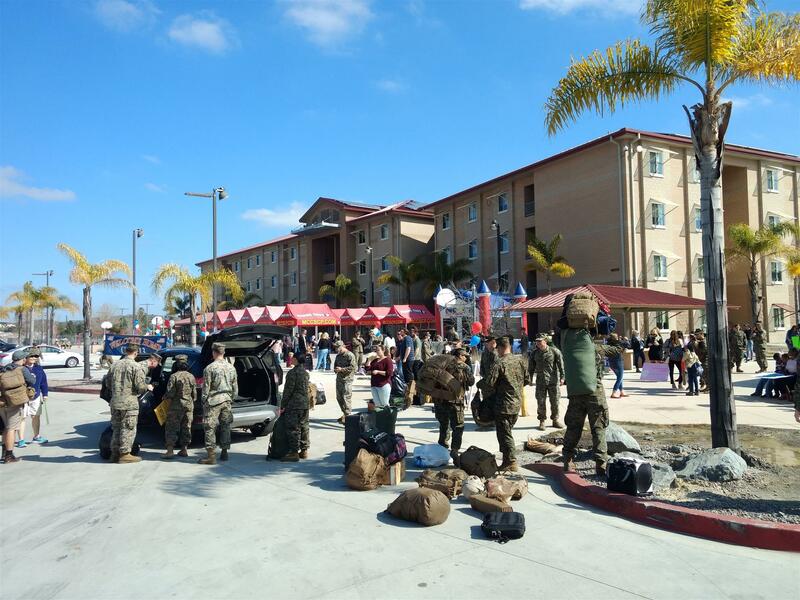 This battalion returned home after being out to sea for eight months.